My good intentions have not been so great at keeping up on this so I’m hoping to throw a bunch of race recaps out her interspersed with some …you know…life kind of stuff!! So back in April, after the Hershey 10K and my make-up WDW half, I only had one more 5K on my schedule – it is one I started doing a few years ago. 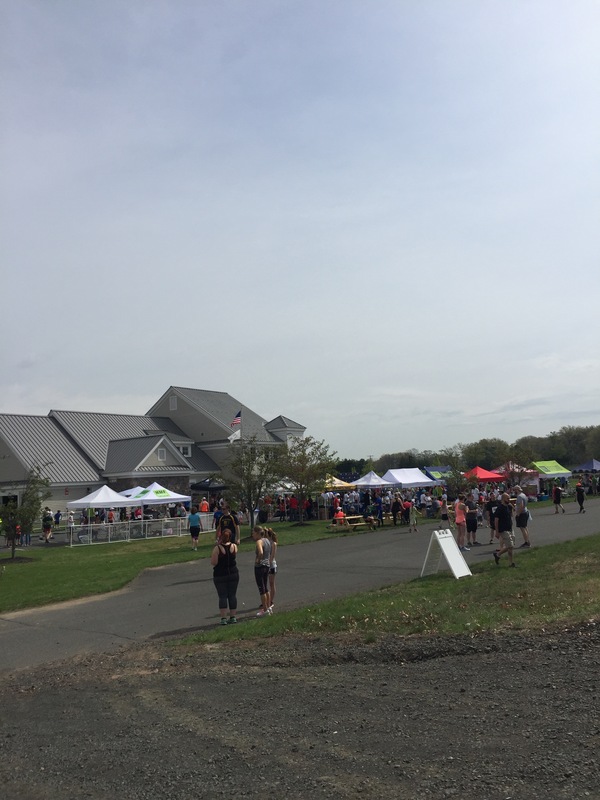 MahoneySabol 5K. This 5K is kind of the kick-off event for the Traveler’s Championship, a PGA tour that I have volunteered at for 9 years now! 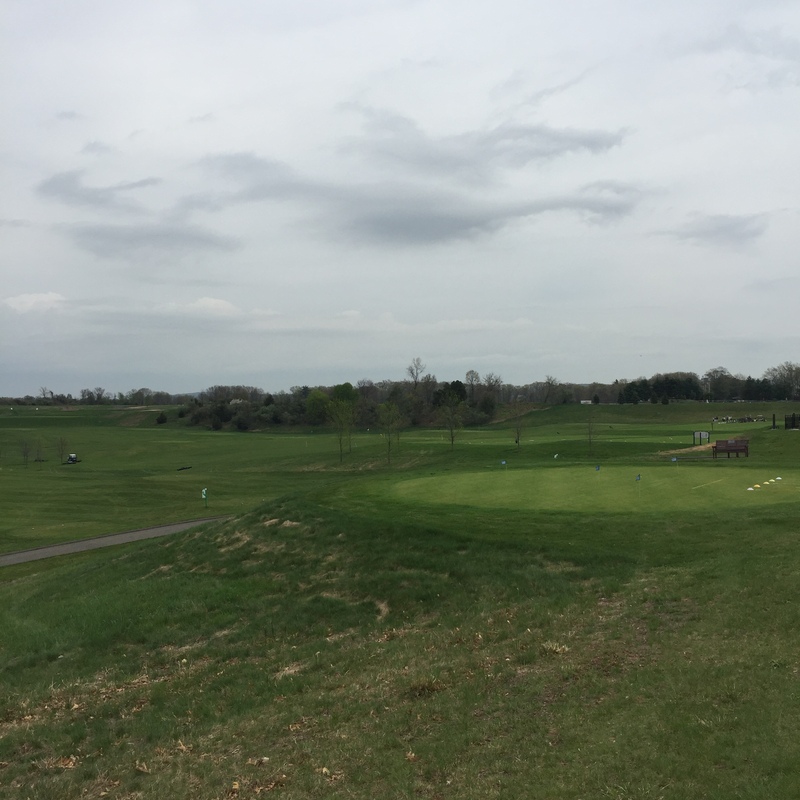 It is run out at the golf course and is really a fun, family friendly event! 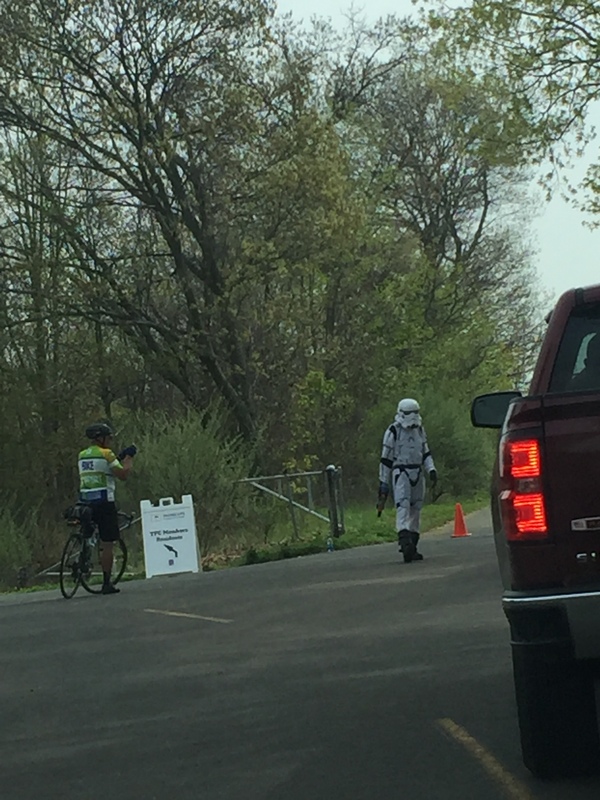 Stormtroopers make good parking lot attendants…. It’s a bit of a late starter – usually 11 am- which is a nice change. Sponsors are Mahoney Sabol & Company, a regional , tax, assurance, and business advisory firm, and Traveler’s Insurance. Partners include Ben and Jerry’s Ice Cream, Bears BBQ (my favorite! ), Dunkin Donuts (another fave! ), and Two Roads Brewery among others. Dunkin is there with a hearty breakfast of jelly donuts and coffee as well as bagels if you’re into that kind of thing! And at the finish line Bear’s provides a delicious sandwich that you can wash down with Two Roads IPA! The course starts and ends at the TPC River Highlands and has it’s nice moments and it’s meh moments! There is a small part of running around the golf course itself (not through!) and a nice residential area. The meh comes in the form of a little less than a mile on the main road through Cromwell – it isn’t awful but…ya know…meh. I spend a lot of time at this course for the tournament and I’m always surprised how different it looks when there’s no tourney! 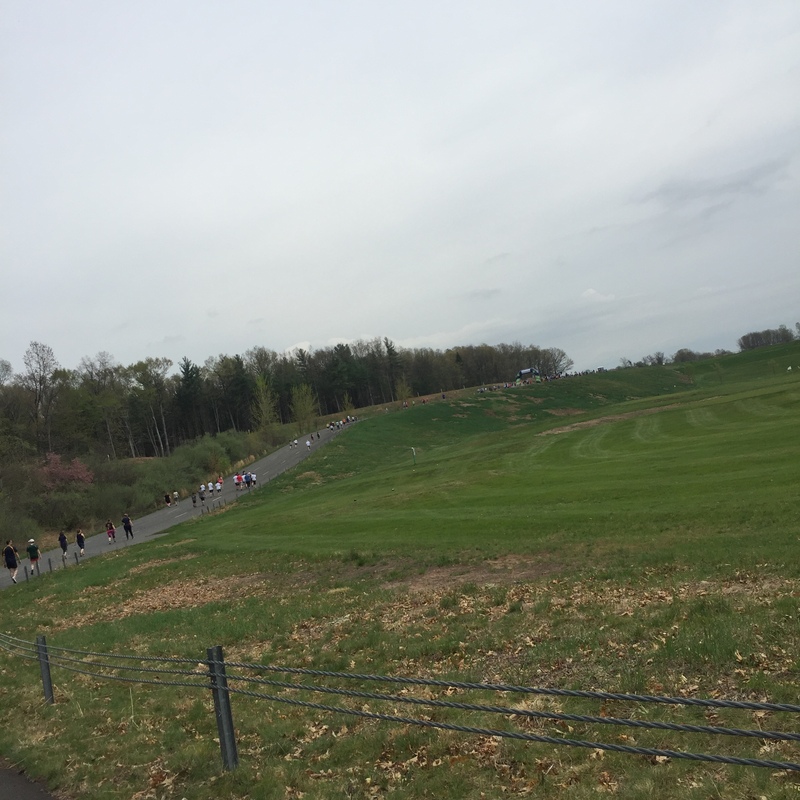 Luckily the race starts by running *down* this hill!! There are kids races which are always awesome to watch and cheer before the 5K and this year we had some characters! I’m pretty sure I saw Batman talking to a Stormtrooper!